I just realised it’s Friday and I haven’t written once about Taylor Swift’s friend collecting. She’s gone an entire week without collecting a friend! Does that mean the backlash really is in full effect? Jennifer Lawrence burps and farts and eats and is outspoken and unfiltered. Amy Schumer, well, Amy is extra unfiltered and unapologetic. So, basically, they’re the perfect best friends and why didn’t we think of it sooner? But remember Amy’s Amy Lake Blively sketch? Jennifer Lawrence on David Letterman getting a blanket because she was cold. Amy said recently that she hadn’t heard from Blake Lively after spoofing her because Blake probably “sleeps in a beautiful tower covered in ivy nursing her baby”. Click here for a refresher. Clearly she’d heard from Jennifer Lawrence. And it’s not like Jennifer Lawrence wouldn’t have known about the blanket and the sketch. 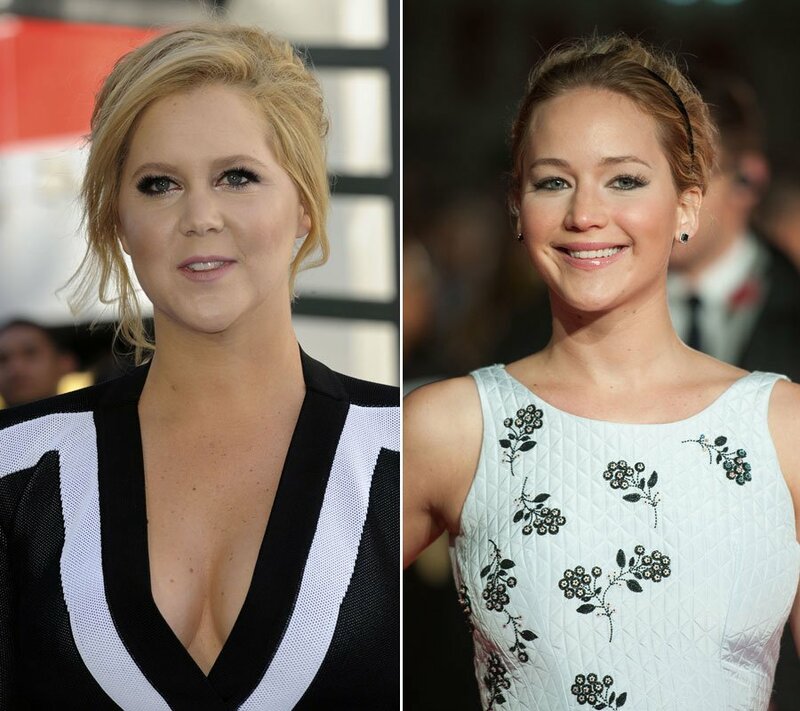 But Jennifer Lawrence hit up Amy first, before Blake. Jennifer Lawrence got on it before Blake. Jennifer Lawrence collected…fast. Like Taylor Swift fast. Only, well, Taylor’s never had too much of a sense of humour about herself…which is why she was still bitching about Tina Fey and Amy Poehler’s joke about her several months later. Jennifer Lawrence however comes out of this looking like she can take a joke. And then win over the person joking about her.